Our glass front Snack and Soda/Beverage Combo Vendor is the perfect machine for business owners and vending route operators. This snack and beverage machine has dual zones, allowing you to vend refrigerated beverages and snacks. This machine comes standard with a $1 and $5 bill acceptor and automatic change dispenser and is credit card ready (optional). 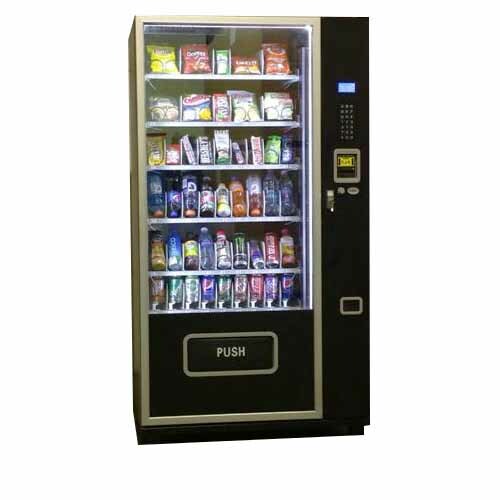 This snack and soda vending machine is a very reliable machine, offering anti-theft precautions, a vend detection system, and a sturdy design to make sure this machine lasts for years.